When it comes to life insurance settlements, there are a number of reasons that policy owners choose to sell their life insurance policy through one life settlement broker over another. The policy owner may no longer need or want his or her policy; he or she may wish to purchase a different kind of life insurance policy; or their premium payments may no longer be affordable. Whether you were brought to us by your financial planner or adviser, insurance broker, attorney, friends or family, or a live presentation, we hope you’ll find everything you need here. Who makes a good life insurance settlement candidate? We’re changing lives every day and the stories are real and touching. Selling a $500,000 life insurance policy helped one couple pay the mortgage and avoid financial stress in the future. 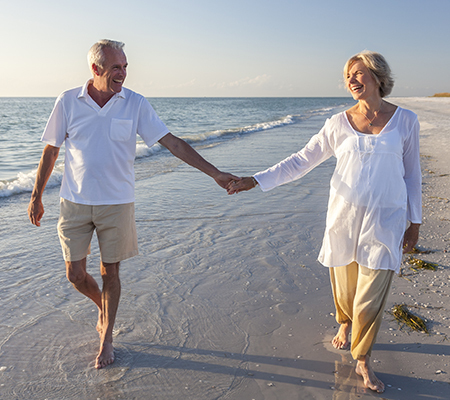 A life settlement is a wonderful financial option for anyone who has a life insurance policy that they no longer need, and for whom letting the policy lapse or be surrendered would be a financial loss. If you feel you may be a qualified consumer who wants to sell a life insurance policy for cash, we have connections to secondary markets ready to buy! Don’t worry if you don’t know if you’re a good life insurance settlement candidate because our easy three-step qualification service will tell us right away if you’re someone who would benefit greatly from a life insurance buyout. We have facilitated the assignment of thousands of policies to the secondary market, just like in the case mentioned above. It’s amazing that we no longer have to treat life insurance policies any differently than any other asset or piece of property but we encourage all interested clients to know what it is truly worth and whether the sale will benefit them in the long run. Please call us to get in touch with a life settlement expert who can pre-qualify you and offer a free consultation. Our top industry life settlement advisors take the following steps to limit risk and act in as prudent a manner as possible. Each client’s overall financial situation is evaluated for their compatibility with a Secondary Market Valuation or Life Settlement. Once qualified, your dedicated life insurance settlement advisor will negotiate directly in the secondary market. It’s in the secondary market that licensed financial institutions will compete to purchase your life insurance policies in an environment of competition created by your advisor. By setting up an auction for buyers, we ensure that you get the highest offer the market is willing to make. We have been in the business of selling insurance policies for many years and we have seen thousands of clients through the process, although we wouldn’t call it a stressful one. Our clients, once their life insurance policy has been taken to market, generally feel a sense of relief at the thought of having cash freed up for them to use toward their safety, comfort, and enjoyment. Financial advisors are on hand right now to represent your best interests in the life settlement process. Over 10,000 successful life settlement offers can’t be wrong! Find out more about how we can help you sell your life insurance policy for cash.